Westworld made it clear in Episode 9 tonight that the show is, in fact, depicting multiple timelines at once. But we still don’t have all the pieces of what’s past and what’s present. It’s admittedly all a little confusing, but let’s try to piece it together. Tonight, Logan gave William a picture of the woman who is Logan’s sister and William’s fiancé. It’s the same photo that Dolores’s father found in Episode 1 that triggered his “malfunction” (or remembering) that caused him to be shut down completely. So how did the photo get from the trail with the army to Dolores’ front door? 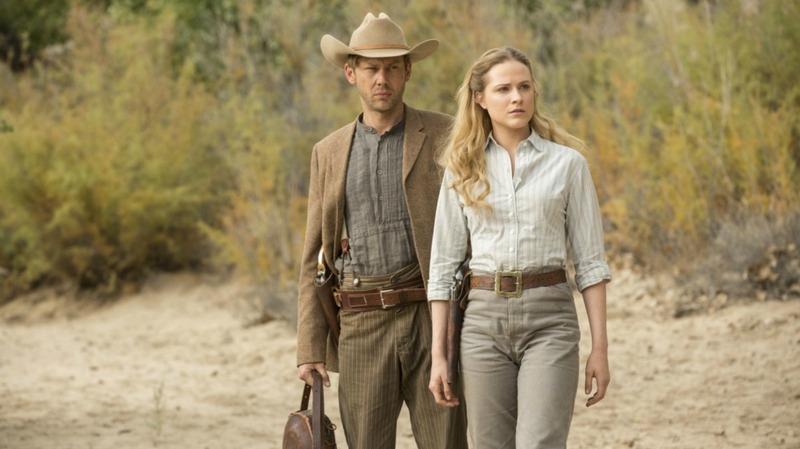 No doubt, we’ll see those pieces fall into place in the finale, but I think something is going to go wrong for Dolores (Evan Rachel Wood) and William that will set them back to square one, thus William’s obsession that sets him on the trail to become the Man in Black decades later. Also, Dolores’s meeting with Arnold clearly showed that she’s remembered before. And she’s the one who killed Arnold, which means she’s had the ability to harm humans for a while now. Arnold must have changed her programming so that she could be the one to take his life at his request. But because she’s forgotten this key bit of information until she found the center of the maze again in the present, does this mean that Ford (Anthony Hopkins) is aware of her ability to kill? Or is Bernard still protecting Arnold’s legacy as a host? I’m guessing the latter, which is why I don’t think Bernard actually shot himself, which was a moment again in the present. I think he was playing along to make Ford think he still has the upper hand. Meanwhile, Bernard will escape to the center of the maze, where his hosts with memories are waiting for him. I’m pretty convinced Arnold/Bernard has set up Wyatt as his gatekeeper in the maze to ensure that only hosts who are ready make it there to meet him. I’m also pretty convinced, thanks to the photo, that William is the Man in Black. I thought the moment when he told Logan not to call him Billy was key. It was the true start to William’s journey as the Man in Black 30 years in the past. It was also key to note that when Logan cut open Dolores, she had the past model of host technology. The current ones are less metal and much more deceptive as people in their anatomy. I’m also pretty convinced that William, as the Man in Black, has never actually raped Dolores. Rather, when he dragged her into the barn, he was trying to awaken her memories and get her to remember the time when they were on the trail 30 years earlier, searching for the center of the maze together. The Man in Black’s time trying to fulfill Arnold’s legacy has no doubt hardened him, but I think his love for Dolores is still pure, which is why it will be so interesting to see how Dolores’s memories fall into place in the finale. Will she remember William as the Man in Black and remember her love for him? Either way, it’s bound to be pretty heartbreaking since that picture Logan gives to William indicated things do not end well for our heroes in Season 1. 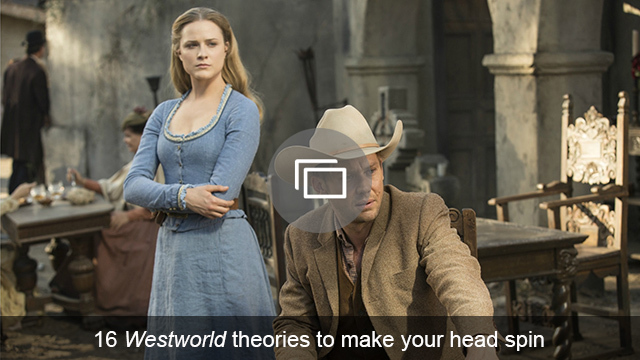 Otherwise, it wouldn’t be floating through Westworld while Dolores returns to her storyline loop. This also indicated that we won’t get all the answers we want in Season 1 since the finale is bound to set things back to the way they were. Luckily, the show has already been renewed for Season 2. What are your thoughts on the Westworld timeline?